The BBC has offered an "unreserved apology" to the victims of Stuart Hall after the former North West Tonight presenter was sentenced to 15 months in jail for sexually abusing under-age girls. 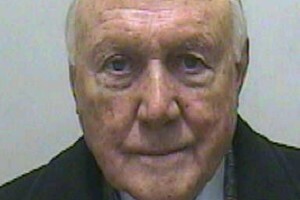 Hall, 83, of Wilmslow in Cheshire, had initially denied any wrongdoing before finally admitting 14 offences at Preston Crown Court in April. The offences occurred between 1967 and 1985 and involved 13 victims, the youngest of whom was just nine years old. The BBC said it was "appalled" that some of Hall's crimes had taken place in connection with his work at the broadcaster. Hall presented the BBC's regional news in the North West between 1965 and 1990 before moving to Granada Reports and Channel M. He was still commentating on football for BBC Radio 5 live up until last December. The BBC said today: "The BBC is appalled that some of Stuart Hall’s crimes took place in connection with his work at the BBC and offer an unreserved apology to the people he abused. "Dame Linda Dobbs is leading a detailed investigation into Hall’s conduct at the BBC and her conclusions will be published as part of the Dame Janet Smith Review later this year." Sentencing Hall, Judge Anthony Russell QC said: "It is clear from the victim statements that I have seen that your brazen attitude when first charged and the public protests of your innocence have added to the distress of some if not all of your victims." Judge Russell said Hall had "given pleasure to millions of people" and was known for his "genial personality, charm, bonhomie and wit". But the judge added: "There is a darker side to you, one hidden from public view until now, and a side which you were able to conceal taking advantage of your status as a well-liked celebrity."